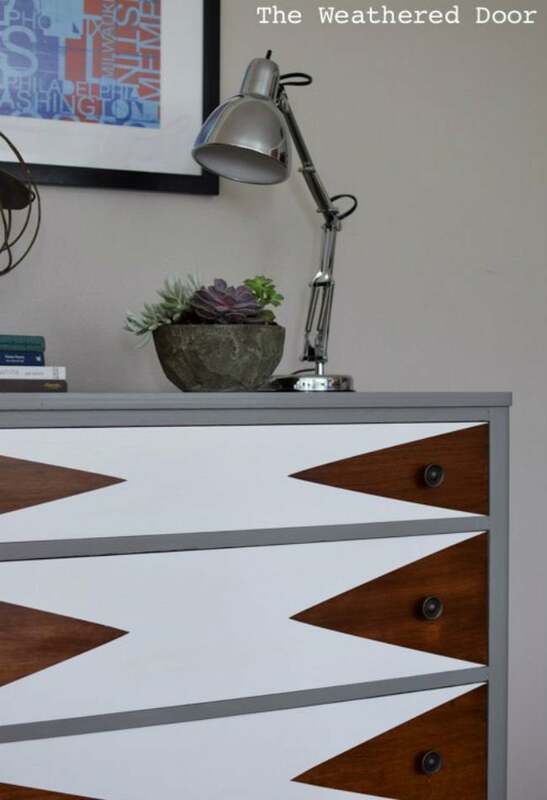 See how this bold blogger decided to give an old dresser a brand-new look using a little paint and a lot of imagination. Reeves from The Weathered Door had drawn up a decorative idea to try out on a dresser. Luckily, she picked up the perfect secondhand find to experiment with—and the results were even better than she imagined. 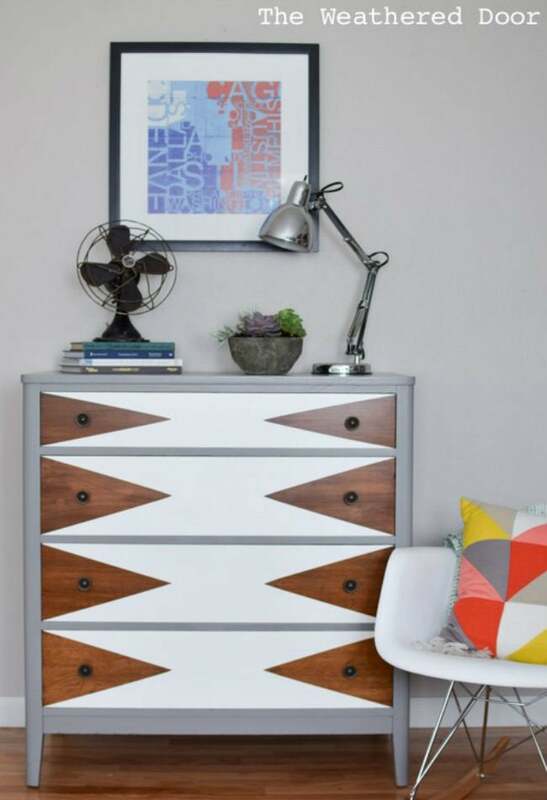 Read on to see how she transformed this castoff into a modern geometric statement piece. 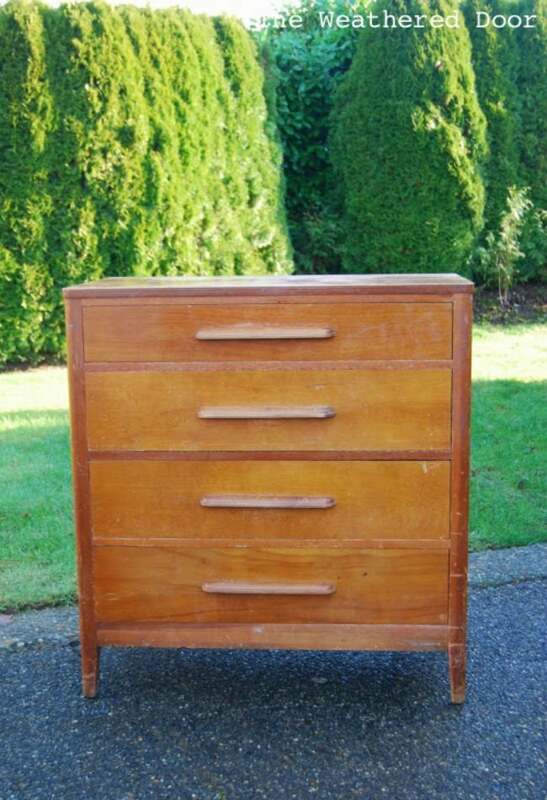 After stripping and sanding an old dresser, Reeves filled any noticeable holes and gave the drawers a few coats of stain. She then sanded the frame of the dresser with her palm sander and applied a gray primer using a foam brush. She painted the frame gray and finished with a coat of sealant. Next, she taped off triangle shapes on the drawers and applied a few coats of white paint. Finally, she finished with a sealer and updated hardware for a modern finish. Get the full instructions, and more great DIY ideas, at theweathereddoor.com.